"Staying Organized Has Never Been Easier"
• Twelve monthly tabs for tracking birthdays, appointments, etc. • Total measurements: 9.25 in. x 10.0 in. x 2.00 in. 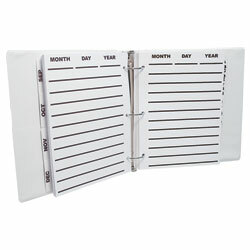 Keeping yourself organized has never been easier! With the Giant Print Personal Organizer and Address Book by your side you'll never miss another important appointment or forget to send a birthday or anniversary card to a friend or loved one. No more squinting and straining! With bold print and extra thick lines, reading names, addresses and phone numbers will be a breeze. 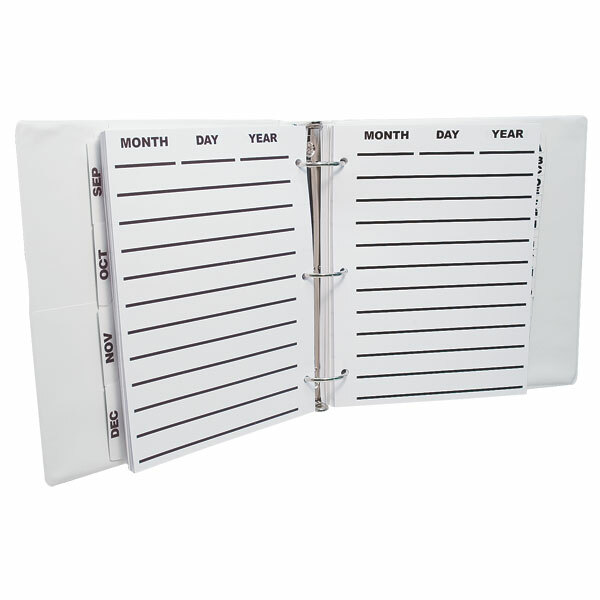 This daily organizer/address book is perfect for seniors, those with low vision, or anyone who would appreciate easier writing and reading of names, addresses, phone numbers, appointment reminders and important dates. 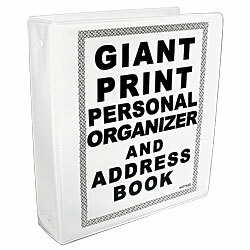 Plus, there's no need to erase or cross things out and make a mess if people's addresses and phone numbers change, as often happens with bound address books. This binder-style book makes it easy to add, remove and move pages around as you need. Hardcover 3-hole ring binder with white vinyl cover. Removable pages measure 7 in. x 9.5 in. - 12 monthly tabs for organizing appointments, birthdays, anniversaries, etc. Measurements: 9.25 in. x 10.0 in. x 2.00 in.